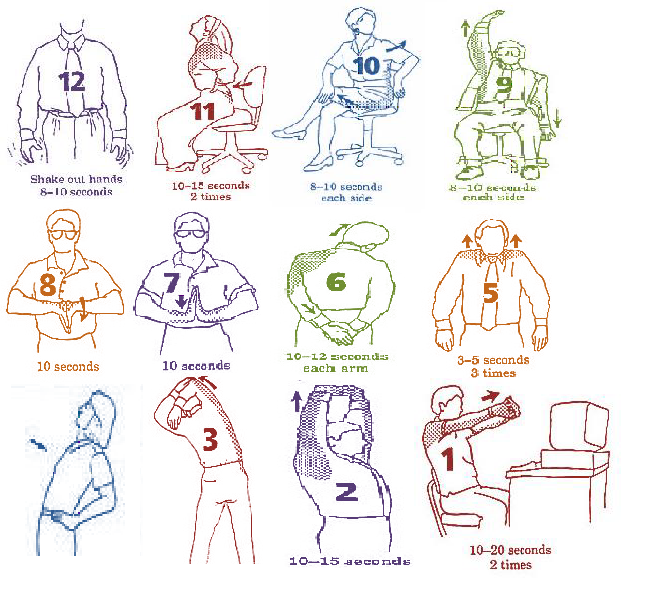 4 minutes Computer & Desk Stretches Sitting at a computer for long periods often causes neck and shoulder stiffness and occasionally lower back pain. Do these stretches every hour or so throughout the day, or whenever you feel stiff. Also, be sure to get up and walk around the office whenever you think of it.